I recently did a guest blog on Florian Staedtler's Blog, Vocal Blog. This is a reposting of that article about a recent nonprofit I founded with a few colleagues. 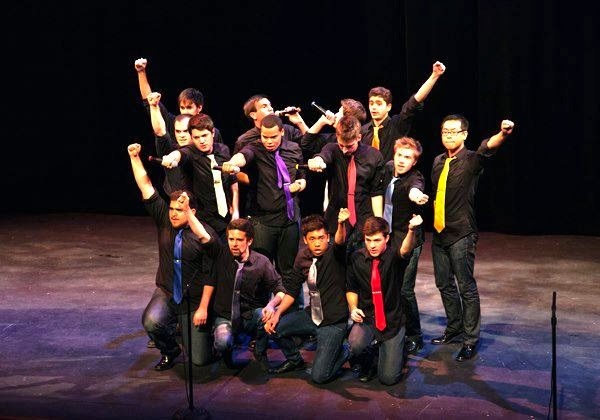 About a year ago, Ben Spalding started a High School A Cappella Facebook and Twitter account. It was a way for all of us high school teachers directing a cappella to connect and share ideas. He reached out to others to help spearhead this effort, and before long, we realized that we needed a website. I helped build the website alongside Ben, Brody McDonald, and Alex Phan. Those three, in addition to having some of the best HS a cappella groups in the US, had geographical proximity. This was tremendously helpful to us as we got started. Sometime this spring, we were all talking on the phone about the ways we’ve seen a cappella grow from a groundswell in our areas. A few years ago, this process started in Ohio when Brad Rees and Brody McDonald presented on OMEA conference with Up In the Air and Eleventh Hour. Over the next few years, presentations and performances at the conference inspired more groups to form. The Tiffin University and Kettering festivals gave these groups a place to learn, perform, and grow. As an example of results, the Kettering festival grew from 5 groups to 13, 19, 25, 30 and now 50 groups. Most of these groups are from Ohio, and many were formed within the last 5 years. · Provide easy-to-access, high-quality resources for all of these areas. 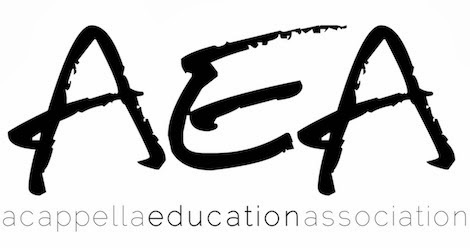 · Use our existing network of music educators to help inspire new group formation. You see, every year, music educators go to one or two local, regional, or national conferences. Most of us have to go because they coincide with our All-State choir events. This means everyone is there—all choir directors, band directors, orchestra directors, etc. from the area. These are organized by either ACDA, The American Choral Director’s Association, or NAfME, the National Association for Music Education. Brody’s presentation above at the state NAfME convention in Ohio is a great example of what can happen when you have a captive audience of music educators. Brody’s group Eleventh Hour has also performed at regional and national ACDA conferences, introducing the concept of contemporary a cappella to hundreds of new high school choir directors. This is how AEA will be effective in our mission to create hundreds of new a cappella groups over the next few years—combining state presidents, local volunteers, group performances, masterclasses, and presentations with a large body of resources. Proximity is key– boots on the ground, so to speak. It isn’t going to be easy, but we already have 55% of the U.S. covered by AEA leadership and volunteers. - as a digital starter packet for folks starting groups for the first time. - as a resource for existing groups to find new arrangements, share ideas, make better recordings, and collaborate with one another. - as a forum through which members of all a cappella groups from professional to amateur can interact and influence. - and as a way to connect a cappella groups to quality providers of services, including arranging, production, live sound, mastering, and more. The website will have a library of free (you read that correctly) original arrangements from some of the best in the biz, including Deke Sharon, Ben Bram, Chris Harrison, Alex Phan, Rob Dietz and more. Moreover, many of these arrangements will also include studio and live recordings for added benefit. The website will also feature a detailed, step-by-step guide to recording a killer album with advice from the pros. With contributions from just about everyone you could imagine, this guide will be one of the best on the internet, with pictures, sound clips, and videos. To help us, we’d love for folks to visit our CrowdTilt page. Consider donating to get us started, volunteering, becoming an industry member/sponsor, or applying to be a state president. Together, we will make contemporary a cappella a defining musical art form for today’s generation and for many more to come.